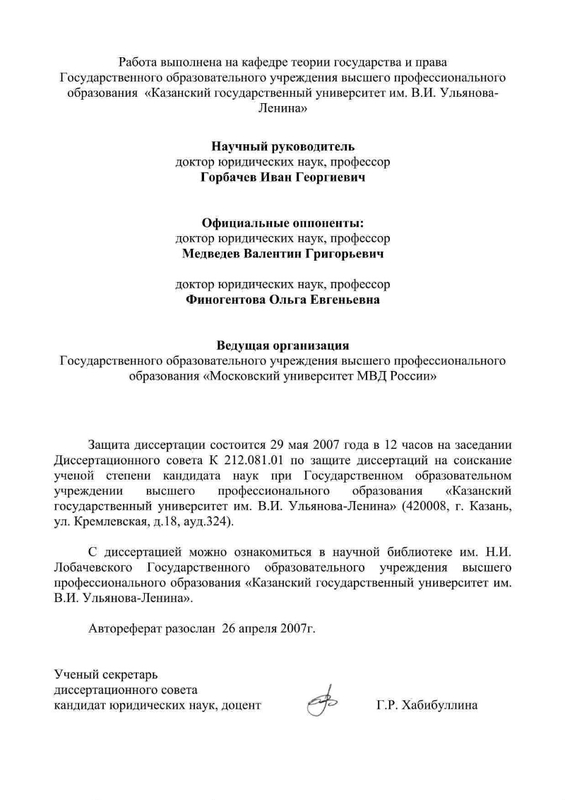 Migratory policy and national security of the modern Russian state: political and legal research: author's abstract. dis. to the soisk. scientist. step. Cand. jurid. Sciences: specialty 12.00.01 / Kulakov Oleg Mikhailovich; [Kazan. state. un-t them. VI Ulyanov-Lenin]. - Kazan, 2007. - 24 p. ; 21. - Bibliography: p.24 (4 titles). - 100 copies. .
1. Power (collection). 2. The people (the collection). 3. 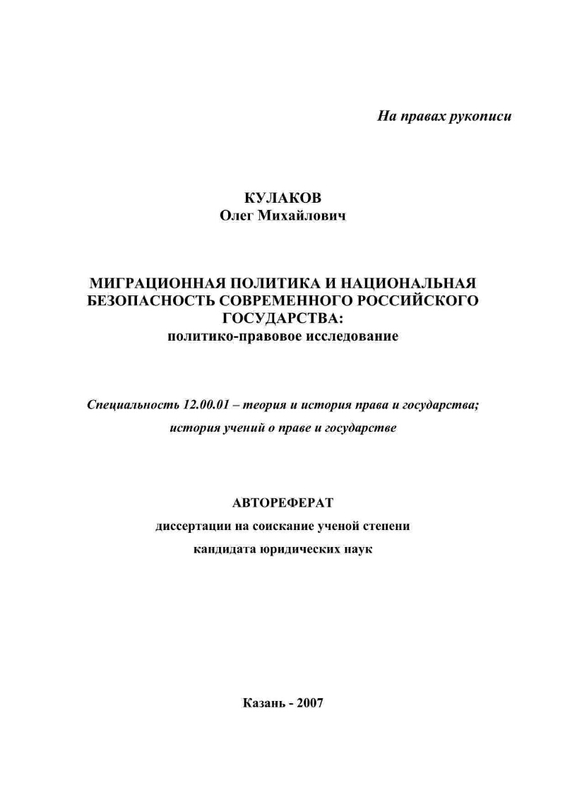 Population - Migration - Russian Federation - Abstracts of dissertations. 4. 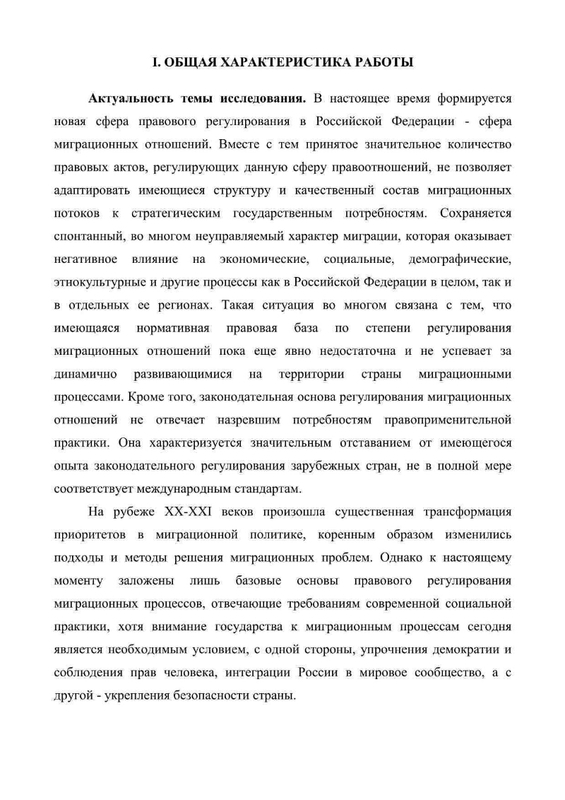 National Security - Russian Federation - Abstracts of dissertations.